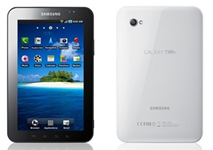 Finally, much awaited Samsung Galaxy Tab has launched in India, however, the price of this device is a big dampener. 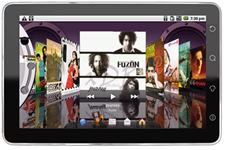 Yes, it is feature-rich and probably has everything that you need in a good tablet, but at Rs. 38,000, it caters to the need of very narrow segment of people. On the other hand we have home grown Olivepad, which is priced about Rs. 13,000 lesser than Samsung Galaxy Tab and comparable features except a few of them. We did a comparison on both these tablets on our Gadget blog to see if Galaxy Tab is worth the price, or much cheaper Olivepad is “value for money” buy ! RBI teases Banks with Extra Load on ‘Teaser Loans’! Samsung Galaxy Tab priced at Rs. 38k–Will you buy? Does it have devnagri text input capability? I mean Can I type in Marathi in devnagri script in it? Im living in pakistan I want to import this product but I read comments about this product in few sites, people are not at all happy with it, is urs olivepad working well? what about their service centr I have heard they dont respond even you have warranty of this product is it so? I was very much interested in taking Olive Pad and ordered one on 22-Nov. They dispatched on 27-Nov to my address. The product is still not delivered due to very very poor routing method of their Courier Partner “First Flight Courier”. Applying, calling First Flight branches gave a very very poor response and really disappointed with their courier before starting using the Olive Tab. I dont know when it is going to get delivered as their website states 3-4 days, God only knows!!!!! Somebody help me.